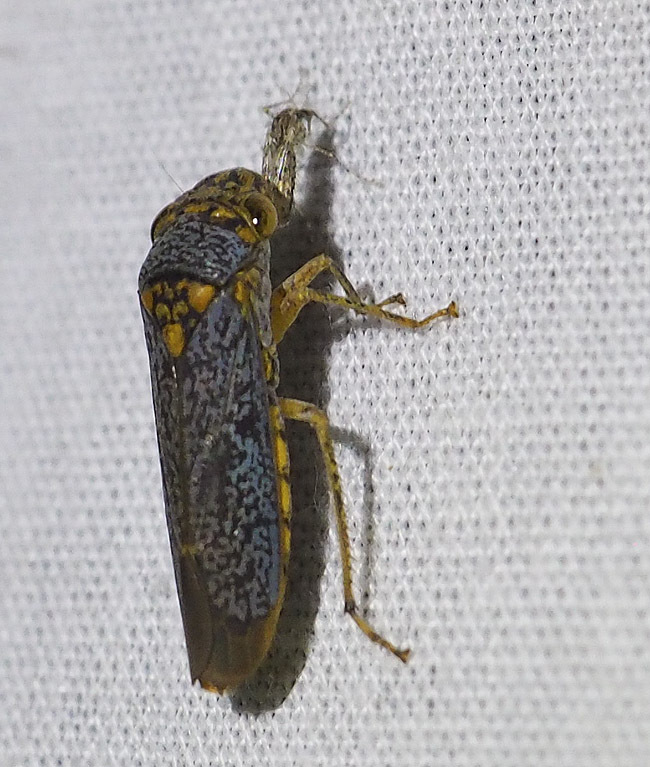 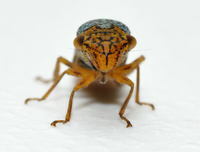 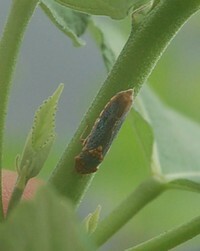 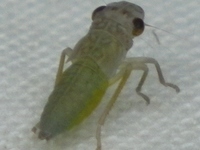 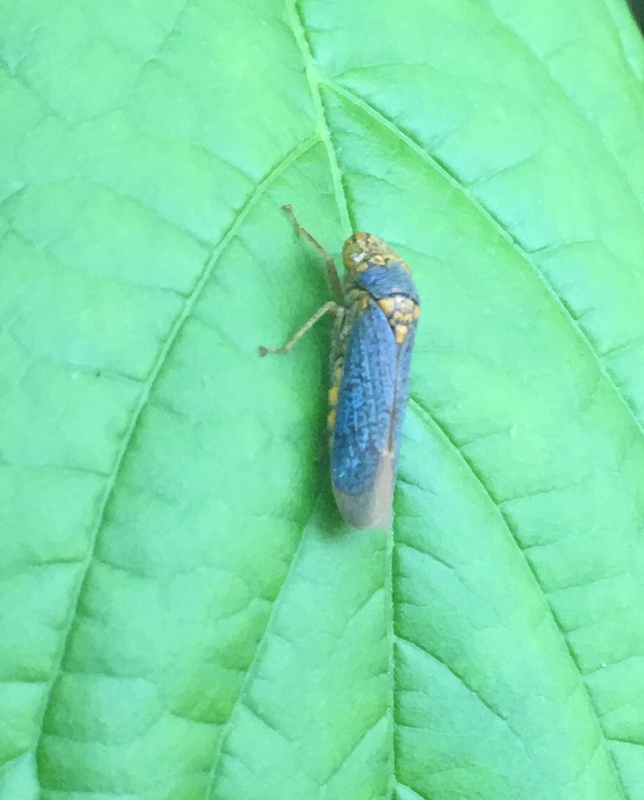 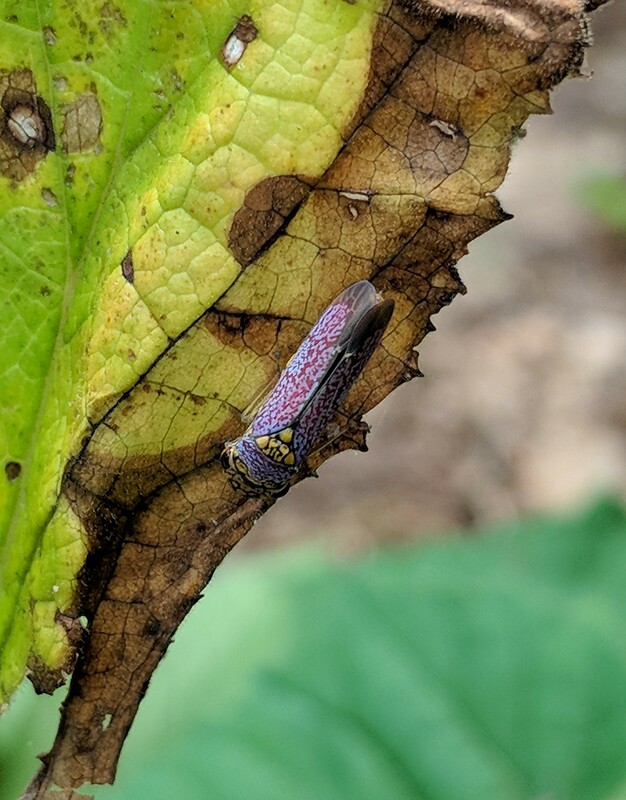 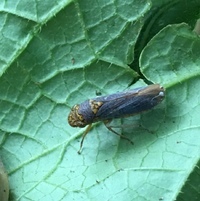 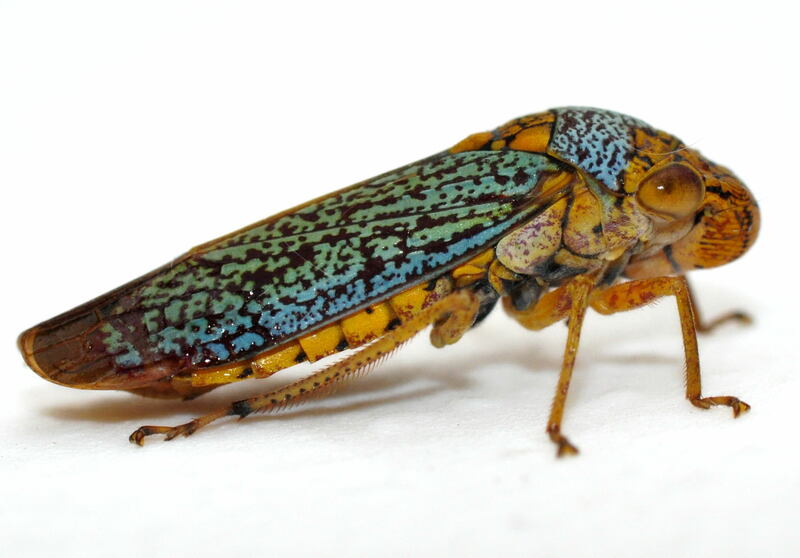 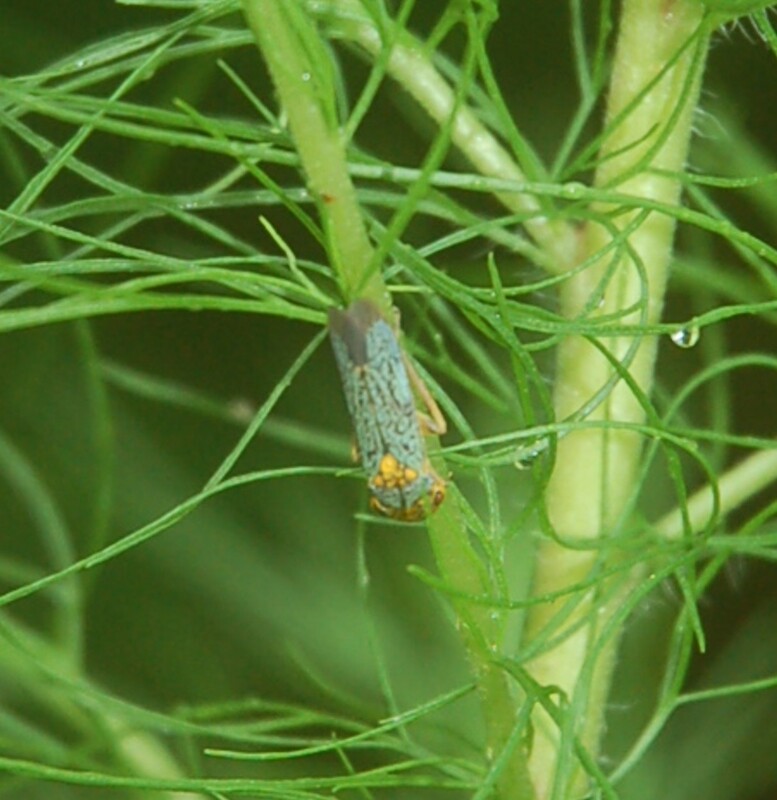 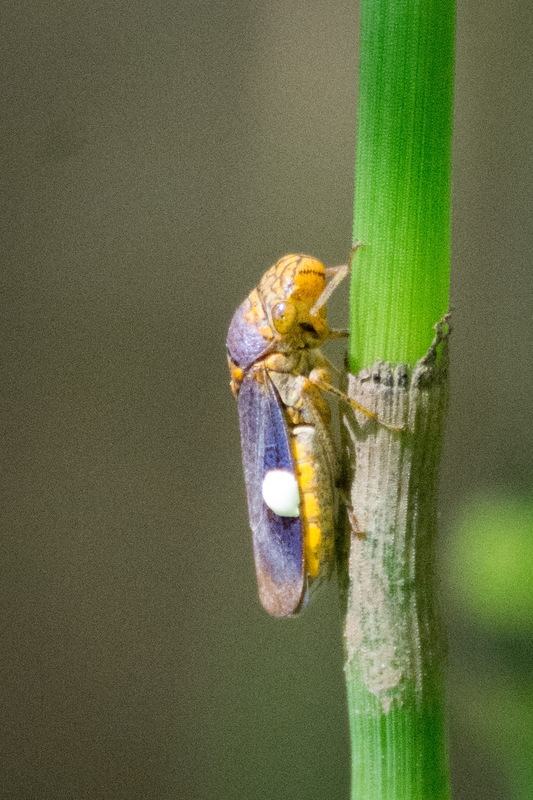 Description: One of our most recognizable, distinct leafhoppers and also one of the largest in the state at 11-12mm (BG). This species has a mostly blue body with black markings; the color is typically a light blue, but some individuals can also appear dark blue. 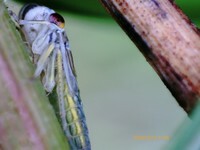 The tip of the wings are a solid dark, blackish color. 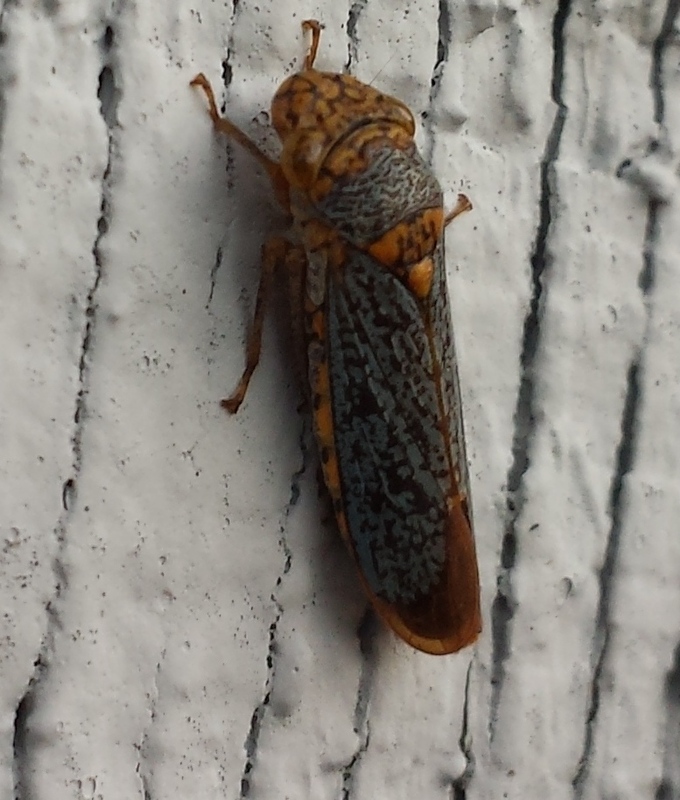 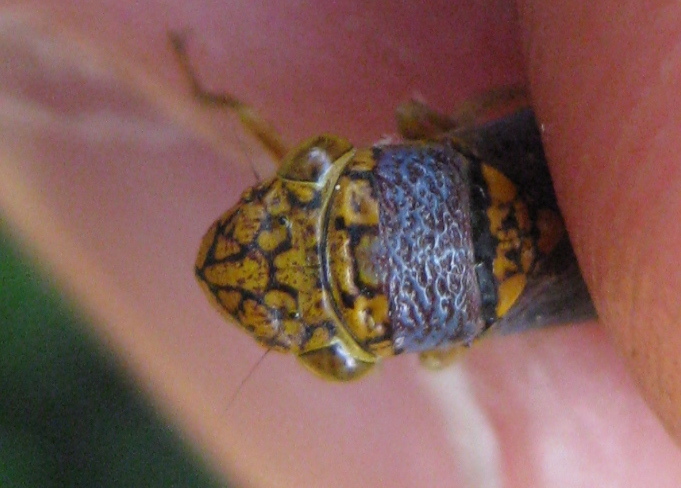 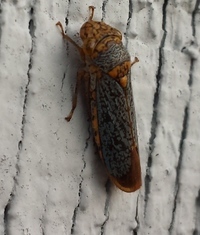 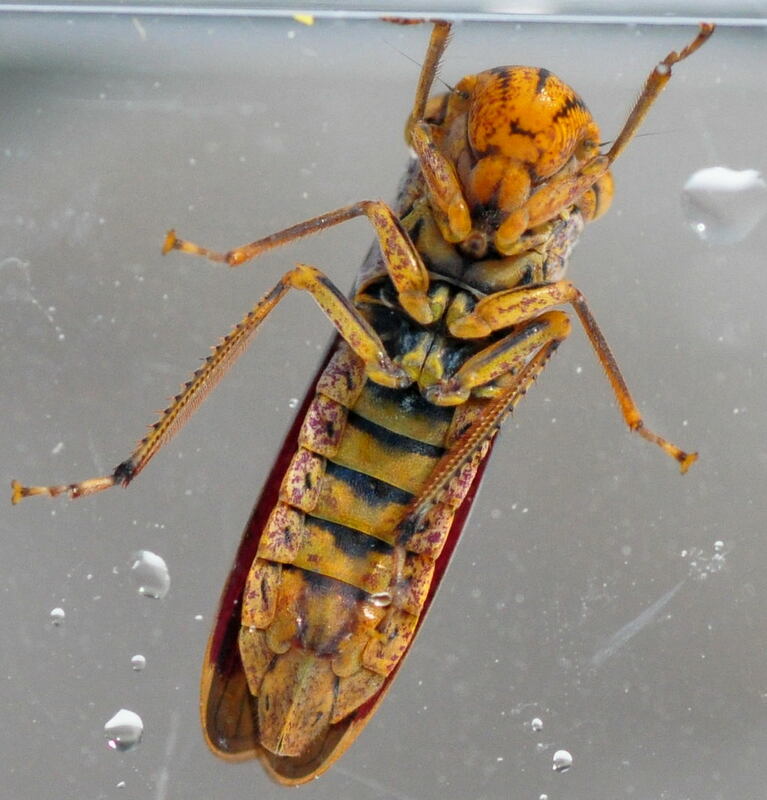 The front of the head, as well as the scutellum, legs, and underside of the body are yellow. The nymph shares a similar body shape to the adults, especially the head. 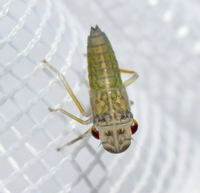 Nymphs typically have a mostly greenish body, especially the abdomen, with a pale head; the eyes are dark, sometimes red. 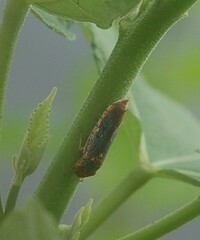 Abundance: Very common species, has been recorded throughout the Piedmont and Coastal Plain, as well as in the Mountains. 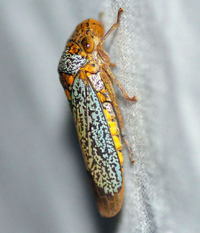 Habitats: A common inhabitant of grassy, field-type, brushy habitat as well as forest edge. 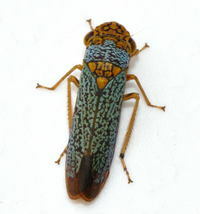 Has also been found in mixed hardwood forests and pine forests. Plant Associates: This species is host to dozens of plant species, including Silphium integrifolium and Catalpa. For a complete list of host plants, see this page: host plants. 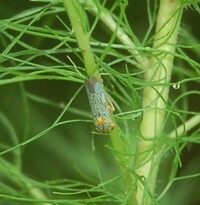 Has been found on pickerel weed before. 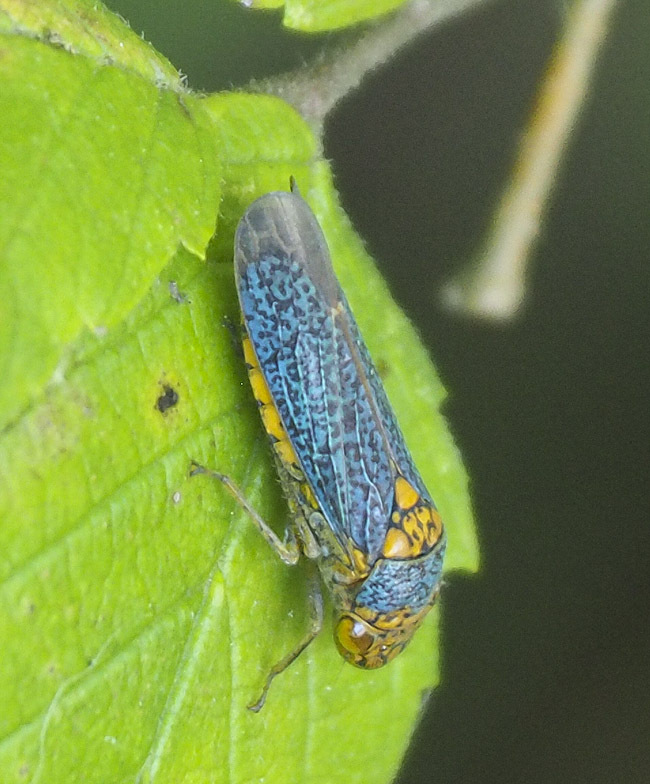 Behavior: This species forages on herbaceous plants in the warmer months in grassy, brushy habitats and moves to forests in the Fall where it lives on trees and shrubs behavior. 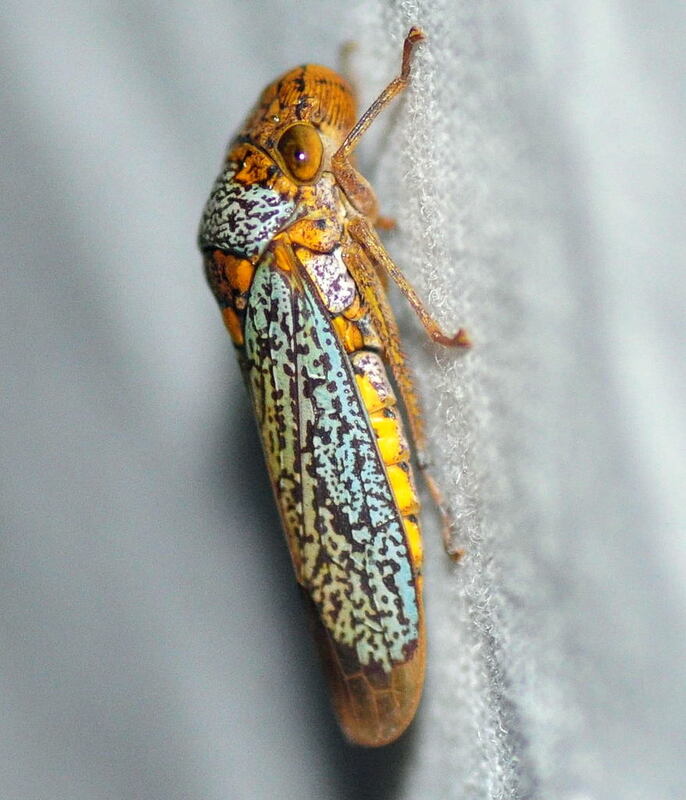 Can be attracted at night with black lights. Comment: landed on the sheet walked to the top and left the scene. 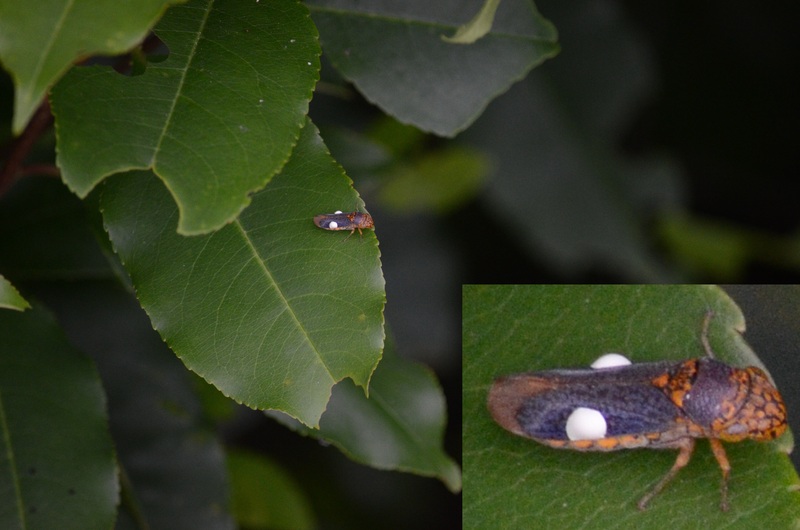 Comment: Landed several times on the box elder leaves.